Building an extension will significantly increase the value of your home. It's a simple equation; more square footage equals more value. Creating an extra room or two is normally the objective but extending an existing room, a kitchen for example, could change the use of another room and therefore have the same effect. So just how worried should homeowners be by these statements? Well, the answer to that question currently depends on which end of the ladder you're on. The Hometrack figures reported the sharpest drop in value at the very top of the market in prime central London at 0.5%. Further above-average drops were reported in South London (0.4%) and Oxfordshire and Cambridgeshire (0.3%). In further indications of a slowdown, Hometrack found that the number of buyers registering with agents had fallen by 6.4% and the number of sales agreed went down by 4.8% last month. 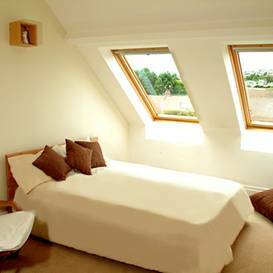 A loft conversion that creates another bedroom will have the greatest return but a garage conversion that is connected to the house will bring similar rewards, as long as it is done properly with appropriate heating and insulation. Conservatories are more difficult to get right; they are comparatively cheap to construct and therefore their perceived value is low. However, if the conservatory is of good quality, heated in winter and kept cool in the summer, and it becomes a primary room of the house, such as a dining room, then the value added can be much greater. Halifax say that ideally, a conservatory should connect two rooms, but for most house designs that would not be a possibility. Make sure planning regulations are adhered to by the letter because the authorities can make you demolish any building works that don't comply. Use a recommended builder and architect (a shoddy extension could devalue your home rather than adding value). If you haven't got a recommendation, consult the NFB (National Federation of Builders) and the RIBA (Royal Institute of British Architects) for registered tradesmen. Make sure the extension matches the architectural style of the building. Research which extension will add the most value for the house; for example, extra kitchen space and extra bathrooms would be good value-adders for a family house. The kitchen is the best room to extend as you can turn it into a kitchen diner and use the dining room for another purpose (as well as the possibility of an extra bedroom on top of the kitchen extension). Victorian or 1930s houses are best for loft extensions because of the high roof pitches Make sure planning regulations are adhered to by the letter because the authorities can make you demolish any building works that don't comply.